Under the statute, an ATDS is defined as a device with the capacity “to store or produce telephone numbers to be called, using a random or sequential number generator” and “to dial such numbers.” 47 U.S.C. § 227(a)(1)(A)-(B). The D.C. Circuit unambiguously concluded that in 2015 the FCC adopted an overly expansive and unreasonable view of this definition. In its 2015 Declaratory Ruling and Order, the FCC defined equipment as an autodialer if it contained the potential “capacity” to dial random or sequential numbers, even if that capacity could be added only through specific modifications or software updates (so long as the modifications were not too theoretical or too attenuated). Under this revised interpretation, any equipment that could be modified to dial numbers randomly or sequentially would be an ATDS – and therefore subjected the caller to potential liability under the statute. The FCC also made contradictory statements about the capabilities that an autodialer must possess – reaffirming and then appearing to disclaim its prior rulings on predictive dialers, and offering contradictory statements regarding the level of human intervention that would preclude a call from being auto-dialed. These statements further compounded the uncertainty surrounding autodialers. The D.C. Circuit Court was troubled by the “eye-popping” reach of the 2015 Order’s interpretation, which could be applied to any smartphone, and found that such a reach could not be squared with Congress’ findings in enacting the TCPA. The Court observed that the FCC’s interpretation was “utterly unreasonable in the breadth of its regulatory [in]clusion.” It rejected the FCC’s justification that a broad reach was necessary to encompass “modern dialing equipment,” concluding that Congress need not be presumed to have intended the term ATDS to apply “in perpetuity” and citing paging services as an example of TCPA provisions that have ceased to have practical significance. By setting aside the prior interpretation, the D.C. Circuit handed the issue back to the FCC for further analysis and explanation. The FCC sought comment on how to respond to the D.C. Circuit’s ruling and appears to be close to issuing a decision on the remanded issues. Is Commissioner Pai’s 2015 Dissent a Harbinger of the Decision on Remand? When the FCC’s 2015 omnibus TCPA Declaratory Ruling and Order was issued, then-Commissioner Pai (now Chairman of the FCC) authored a highly critical dissent, including a direct challenge to the interpretation of an autodialer. In his view, the ruling improperly expanded the definition of an ATDS beyond the legislative mandate, and needed to be reigned back in. Chairman Pai’s dissent took issue with the ATDS definition as overbroad and over-inclusive. He posited that only equipment that has the capability to dial sequential numbers or random numbers should qualify as an ATDS. “If a piece of equipment cannot do those two things—if it cannot store or produce telephone numbers to be called using a random or sequential number generator and if it cannot dial such numbers—” Chairman Pai asked, “then how can it possibly meet the statutory definition? It cannot.” The principal issue addressed in the 2015 order was whether the statute’s reference to the “capacity” of ATDS equipment referred to the potential capabilities of the equipment. On this front, Chairman Pai’s view was clear: he believed that the statutory definition of an ATDS was limited to the equipment’s “present capacity,” not to its potential or theoretical capacity, and his dissent focused largely on why the concept of potential capacity was a bridge too far. Chairman Pai’s interpretation of the statute closely hues to the specific capabilities listed in the text of the TCPA—the ability to store or produce numbers using a random or sequential number generator, and to dial such numbers. The FCC’s interpretation, Chairman Pai charged, “transforms the TCPA from a statutory rifle‐shot targeting specific companies that market their services through automated random or sequential dialing into an unpredictable shotgun blast covering virtually all communications devices.” Chairman Pai was willing to claim victory for the “rifle‐shot” set, stating that if today’s callers have abandoned random or sequential dialers due to the TCPA’s prohibition, then the TCPA has “accomplished the precise goal Congress set out for it” and, if parties want to address more modern types of abusive dialing equipment, they should go to Congress for action. Given Chairman Pai’s previous statements and the D.C. Circuit’s criticism of the prior order’s scope, it appears likely that the FCC will look only to the present capabilities of particular equipment, rather than its potential or future capacity. However, this alone does not answer the question before the agency. In 2015, Chairman Pai seemed ready to declare the autodialer definition to have achieved its goal, but now that he leads the agency, will he hold to that position? Notably, since assuming the leadership of the Commission, Chairman Pai has made multiple statements about the need to address the “scourge” of robocalling. The FCC has taken several actions aimed at reducing abusive calls, better detecting spoofing and unlawful activity, and empowering carriers to block illegal calls and consumers to block illegal and unwanted calls. Much of these actions were detailed in an FCC Bureau report on illegal robocalls released on February 14. While it eschews any recommendations for future actions, the report details ongoing FCC and industry efforts to combat illegal robocalls, and identifies some of the challenges to FCC enforcement activities. The Commission also recently adopted a database for number assignment changes that aims to reduce misdirected calls to the wrong telephone number. Will these robocall reduction efforts give the Pai-led FCC the “cover” to narrow the definition of an ATDS, and, if so, by how much will it be narrowed? Some narrowing of the prior definition is inevitable. Few argue that ordinary smartphones should be subject to the TCPA restrictions. But even advocates of a broad interpretation disagree on how to get there: some have argued that the FCC should maintain the prior definition but exempt smartphones, while others argued for standards that would exclude “ordinary” or unmodified smartphones. Some in the industry, on the other hand, are asking the FCC to focus more narrowly on equipment prominent in the early 1990s, when the TCPA was passed, and be less likely to include equipment that solely calls from pre-loaded lists of numbers. This would be consistent with Chairman Pai’s dissent – provided he has the other votes to achieve it. An interpretation along this line would appear to be good news for predictive dialing equipment and various dialers that involve differing levels of human intervention to complete calls. Given the divergent interpretations in Marks and Dominguez, the FCC’s interpretation of the ATDS definition is almost certainly headed back to the courts for confirmation that the FCC’s revised definition (whatever it is) lies within the agency’s delegated powers and is sufficiently clear to pass judicial muster. Moreover, a restrictive interpretation of the legislative mandate for what can be regulated would leave to Congress the question of whether a broader definition must be considered, including how to address modern dialing equipment and other modern technologies. Several anti-robocall bills aimed at expanding the reach of the ATDS definition are already under consideration in both houses of Congress. Thus, even if the FCC adopts a narrower interpretation, we’re likely to see the ATDS issue shift to other forums in the second half of 2019. With that in mind, and given the continual cycle of TCPA lawsuits, companies placing calls or texts and those designing calling or texting platforms should consider how participating in the FCC and subsequent proceedings can further their interests. They also would benefit from determining how the clarified ATDS definition is likely to affect their business, and whether any proactive adjustments would be helpful to prevent disruption to the business or to manage TCPA risk exposure, including evaluating whether the consent they obtain is sufficient. 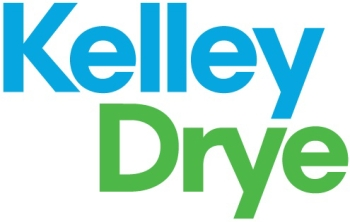 Kelley Drye will continue to follow these issues and provide updates through its monthly TCPA Tracker.